Now that the temperatures have dropped in Pocatello, here are some useful tips to help prepare your AC unit for the winter weather. When the temperature starts dropping, check your AC unit frequently to make sure ice has not built up on your system. If you leave ice built up on your AC unit, you could end up with permanent damage and might have to replace your AC unit. With years of experience, our heating and cooling service at Barlow’s Aire Force One, can help your Pocatello home with your frozen air conditioner and let you know what you should do if this happens to your AC unit. The most common time to see ice or frost on your AC unit is usually when the air conditioner is running. 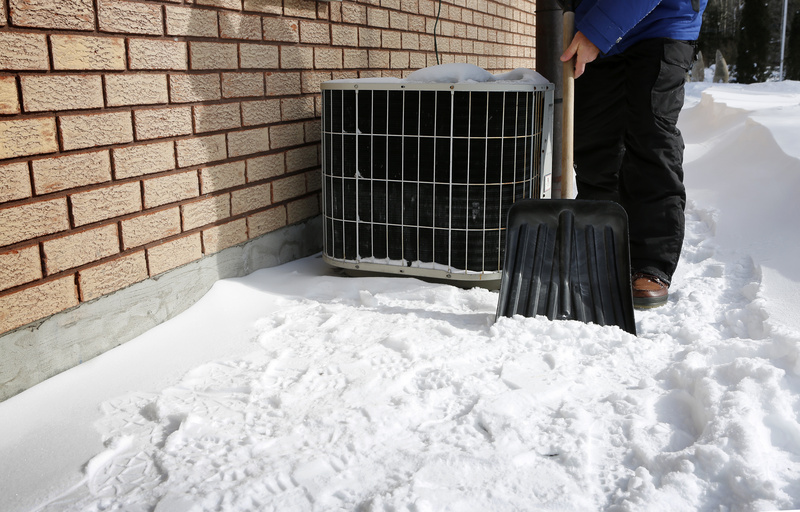 The most common places to see ice or frost are on the lines going to and from your AC unit. When the gas expands and the pressure goes down, it will cool anything around it. Having ice appear on your air conditioner is not uncommon, and it does not mean that your AC unit is permanently damaged or broken. However, if this does happen, you should contact an HVAC contractor. If your AC system isn’t moving as much air as it should or needs to, this may lead to having your system be chilled. If the airflow is restricted, the cold air will stay in the unit causing the temperature to drop in your AC unit. If this happens, you could risk having frozen parts in your AC system. If you realize your AC unit has frozen up, you should first turn off the air conditioning. This will help prevent any more damage from happening. 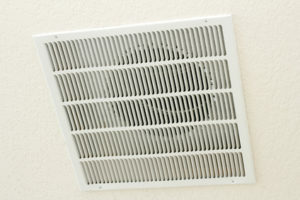 Always check to see if your filters are dirty or clogged up and check to make sure all your vents in your home are open. These simple steps might end up solving your problem. However, if you notice your AC system freezing frequently, you should have your ducts cleaned out by a professional. If you leave your system iced over a lot and never go out to check on it, you could risk having permanent damage to your unit. Getting a recharge or a tune-up is a lot cheaper than having a new air conditioner replaced in your Pocatello home. You should always give your HVAC contractor a call if you happen to notice frost or ice on your AC unit. An HVAC pro can notice if your unit has dirty filters, vents in your home closed, a dirty evaporator coil, blocked return grills, or if mechanical parts need to be replaced. A good sign should be that if your air conditioner is working properly, then you should not have it freeze up or have ice build up on it. Barlow’s Aire Force One can diagnose the issue and let you know what is exactly wrong with your AC unit and help get your AC going again properly. Like it or not winter is on its way and here in Pocatello you can’t afford to let your heating systems stay low. As the weather gets colder without that added heat the pipes in our homes will start to freeze. 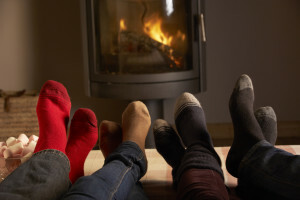 If your heater is in need of repair we highly recommend that you hire a licensed professional to diagnose and treat any problems that your heating system may be having. The professionals at Aire Force One can save you money by quickly locating all of your heater’s issues. If you don’t mind getting your hands a little dirty you can utilize this basic guide to help fix any minor issues like a faulty thermostat or dead batteries. Regular and routine maintenance can keep your heating system from needing repair for the entire winter season in Pocatello. Our professionals can spot any potential problems and failures before they can become disasters. They can also give you advise on needed resources and the decision making process regarding the health and safety of your heaters. What should you do if your heating system decides to take a vacation this winter? 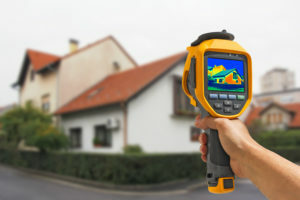 First, you will need to pinpoint the issue your heating system is suffering from. What is the most immediate problem? Partial loss of heat? If your heaters are keeping your house moderately warm and runs all day, your problem might be an air flow issue. Air flow issues occur in the duct work and in restriction from air filters or fan motors. Your heaters may even be overheating because there is one or more restriction in the air flow causing intermittent operation. Total loss of heat? When you turn your heaters on are you getting cold air? Or no air at all? If you feel cold air this may be the result of a couple of issues. Start by checking your fuel supply and your electrical systems. Erratic and intermittent temperature issues are usually the result in a thermostat malfunction. Installing new batteries may resolve this issue. Make sure you turn the power to your heating system off at the main electrical panel before you replace your batteries. If you pull your thermostat off and notice that batteries are not included, you may have low voltage power coming from your furnace. Put your thermostat back together and look for your electrical system. Older thermostats may be manually calibrated, if your thermostat falls into this category, contact Aire Force Once and we will send over a professional to provide this service. You may want to consider replacing your old thermostats with a newer model. While you’re installing new batteries in your thermostat take a moment to check your smoke and CO detector batteries as well! WARNING: Do not attempt to fix your heating system if your breaker trips immediately after turning it back on! Call the professionals at Aire Force One in Pocatello immediately! If you are in need of some heater repair services in Pocatello look no further! Stay warm this winter!